As a designer, I feel like it’s rare to find a company that works on solving deep, technical problems and also truly embraces the value of design. That’s why I love leading design at Applied Intuition. 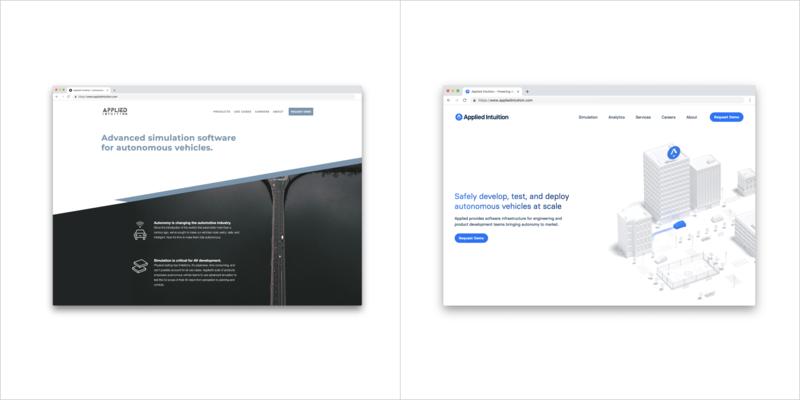 Not only do we get to build software for autonomous vehicles, but our incredibly talented engineering team also understands the importance of integrating an effective design process. 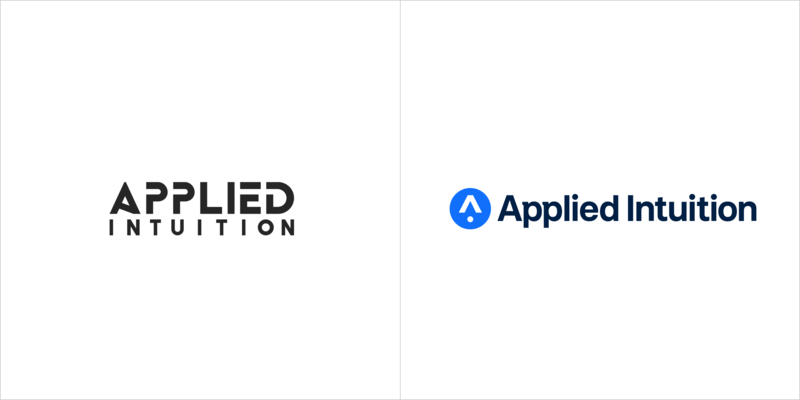 This is what enabled us to launch a new brand identity for Applied, developed completely in-house. In our announcement we summarized the meaning behind our new brand, but I wanted to share a little bit more about what went into our process. When we compared this final statement to the previous iterations, we thought “of course!” We were ready to use this as a foundation for exploring logo concepts. Our first step was identifying the inherent challenges we’d face in executing a successful logo. 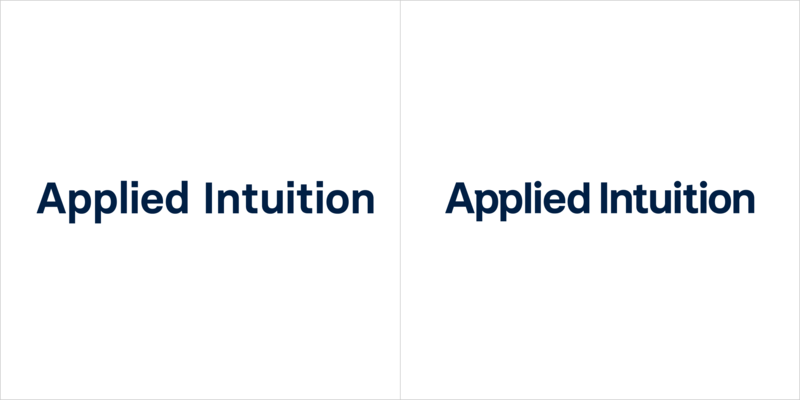 For example, both parts of the company’s name “Applied” and “Intuition” are abstract concepts without obvious graphical connotations. Both words are also long, and abbreviating it to “AI” would be misleading––making it difficult to rely on a purely typographic mark. We used these constraints to inform our explorations and developed three separate “themes” before narrowing our focus to the one we felt was the strongest: using the caret symbol ^ to represent how we help our customers be exponentially more effective in bringing autonomy quickly and safely to market. 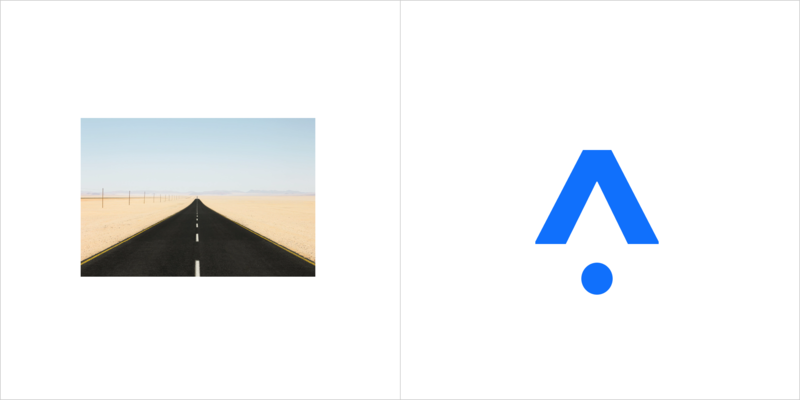 The result is an abstract mark that communicates a number of meanings — it’s the caret, it’s an AV on a road, it’s an “A” for Applied–all while maintaining simplicity and strength. My favorite detail is how the overshoot of the tittle in the “i”s matches the overshoot of the • aligned with the baseline of the text. 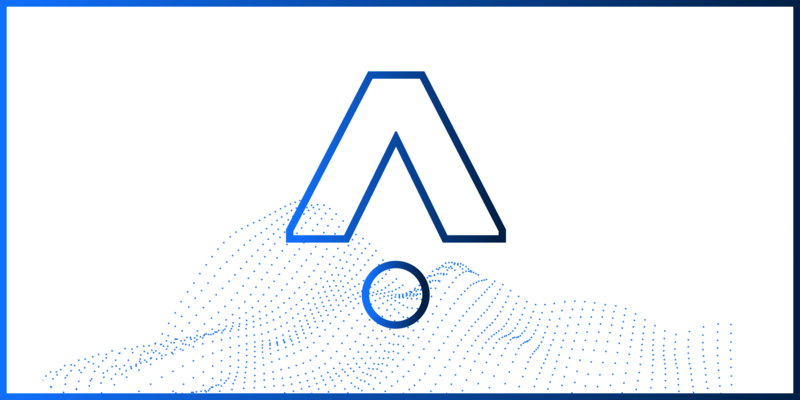 One of the most unique aspects about Applied is the team’s extensive experience in both the software and automotive industries. Our work straddles research and application. 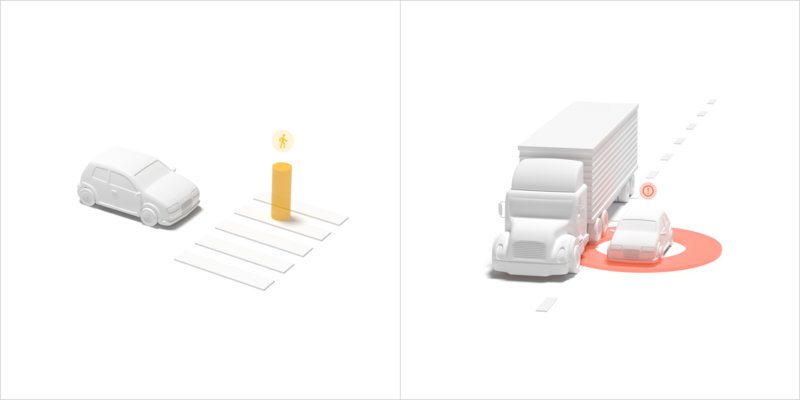 And our flagship product is simulation software that improves the performance of AVs in real life — simulation and reality. We express this concept of and through a gradient. 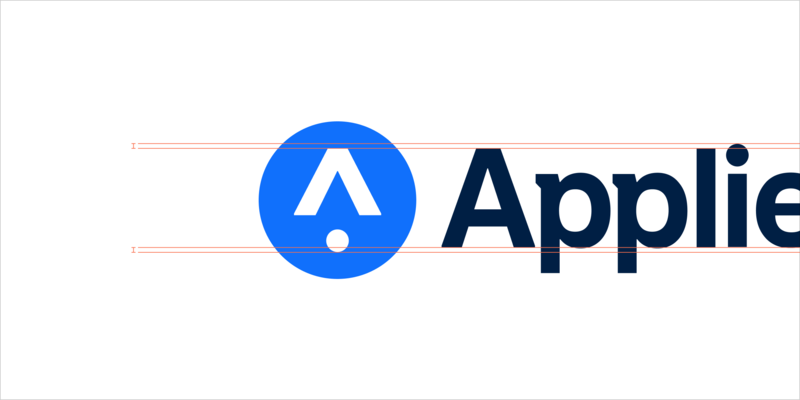 With a more classic/conservative approach to the mark and logotype, we use the gradient to bring more dynamism into the brand. Because our products are digital, photography wasn’t a viable option for our brand imagery. But we also wanted a more flexible and interesting approach than relying on screenshots of our software. 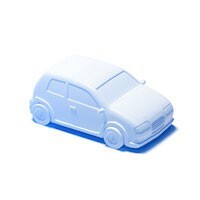 So we created a minimal, built-from-white style of 3D images to carry our visuals. There’s more I could share about the impact of the rebrand (mostly in the “black triangle” category), but I’ll stop here to say that our new brand is the result of working with a team that gives space to creativity, trusts design, and offers meaningful critique. If you’re a designer who’s interested in autonomous vehicles and believes in the intersection of taste, vision, and execution — we’re hiring! Check out our careers page.